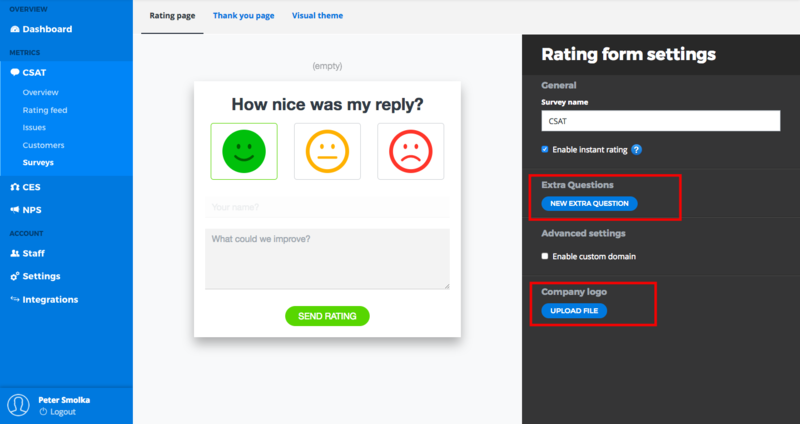 Empower your customer satisfaction with TeamSupport and Nicereply. 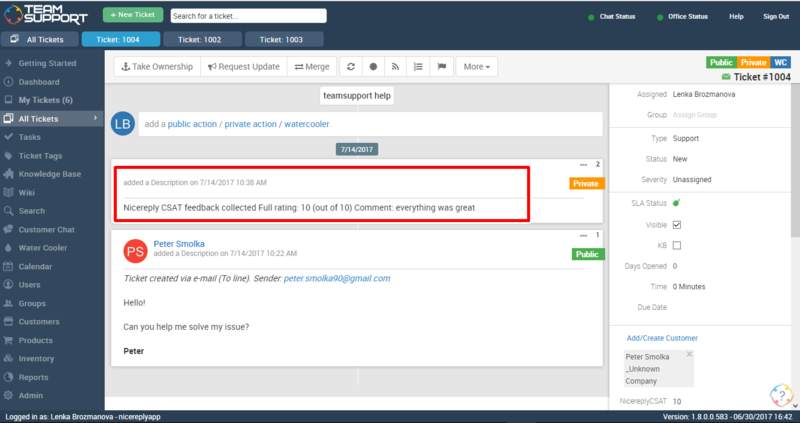 In this article you can find out everything you need to know about integrating Nicereply with TeamSupport. 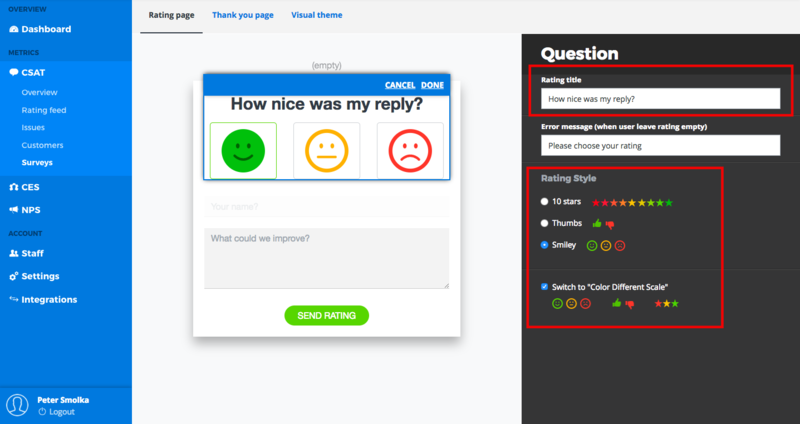 You can distribute your CSAT/CES/NPS to your customers by placing HTML code in your TeamSupport custom email templates, or via a Trigger set up in Nicereply to automate follow-up after you close a ticket. You can add more distributions at any time. 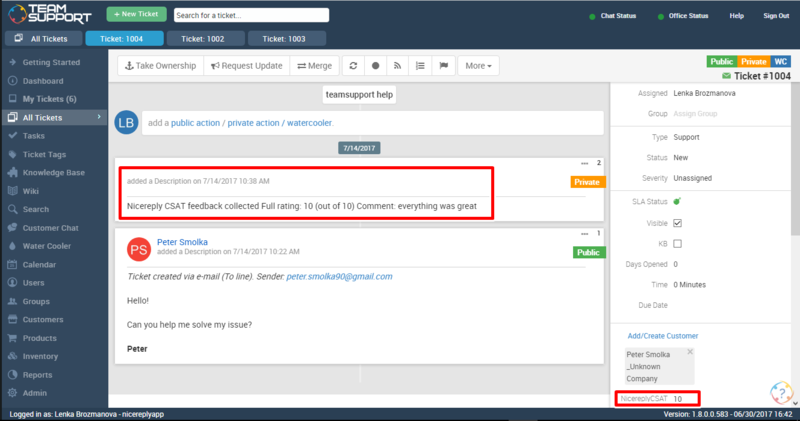 See the list of 7 major benefits of the integration between TeamSupport and Nicereply. All ratings will be pushed to the relevant ticket in a form of action. In addition to being added to the ticket actions, you can create custom fields in TeamSupport to collect your CSAT/CES/NPS rating values. As we have our CSAT/CES/NPS value stored in the custom field, we can do some automation. E.g. 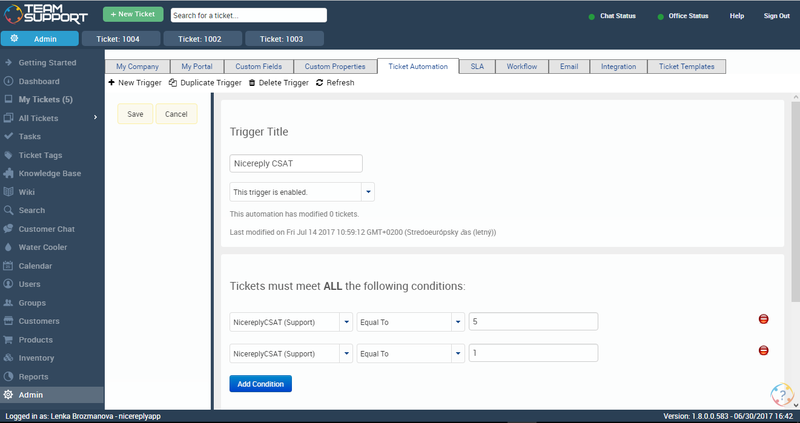 we can set an alert tag to ticket with low/bad rating in ticket automation by creating new trigger. 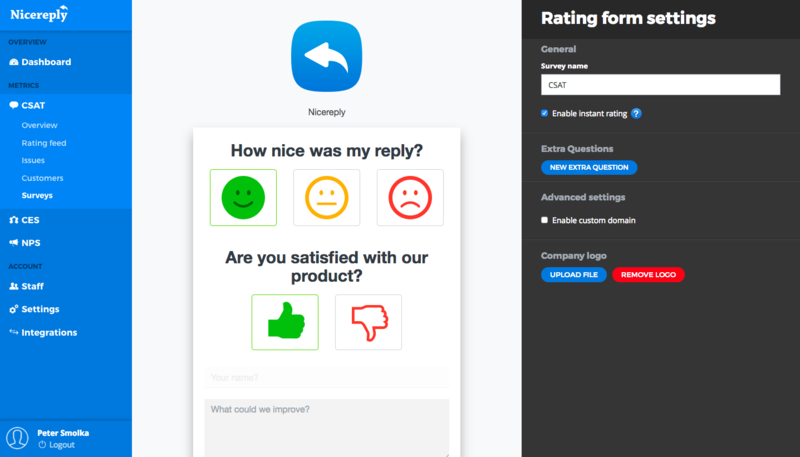 Sync all your TeamSupport users with Nicereply with one click. New users will get an automated email with login instructions.